Yes, it’s one of the most commonly talked about tourist attractions in Marrakech and seems like absolutely everyone goes there, but I thought Bahai Palace was impressive and worth the whistle stop visit. 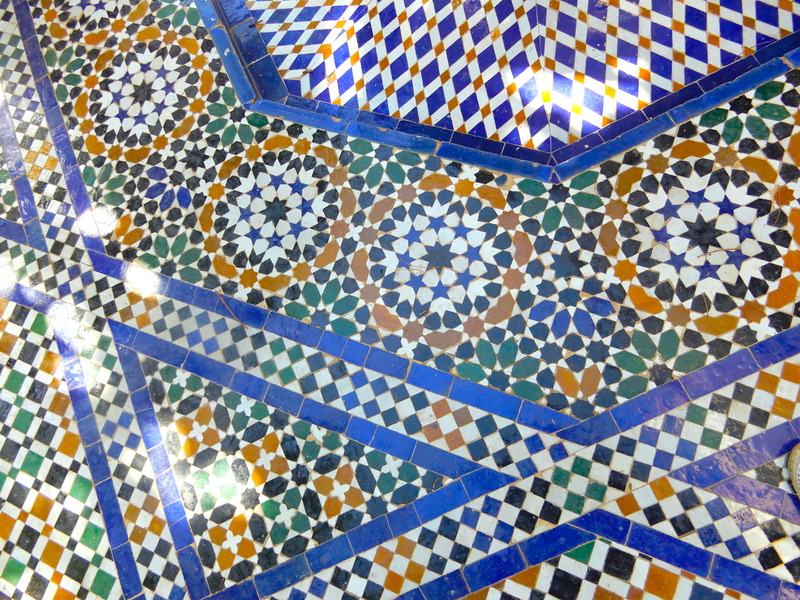 Everywhere you look there are ornate arches, exquisite ceilings, handsome doors and colourful mosaics, just lovely! It’s a fairly new build, completed in the late nineteenth century. This was a stop-off on a full day tour, so although we didn’t have to queue to get in, we didn’t get to arrive early and avoid the crowds, which meant it was pretty packed and hard to get photographs without other people being in them, it has absolutely packed. Wow it looks beautiful! Great pictures! It really is 🤗, thanks!